The EUR/USD currency pair is still very uncertain. 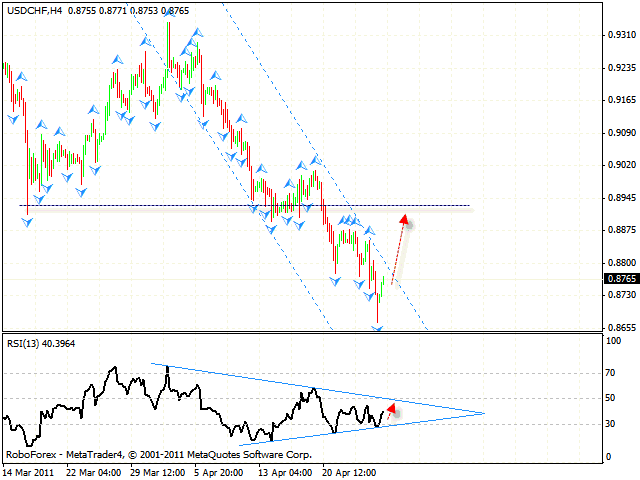 At the daily chart the RSI indicator has almost reached the critical level, but has not grown higher than 70 yet. Thus, the pair may still fall down to the level of 1.42. 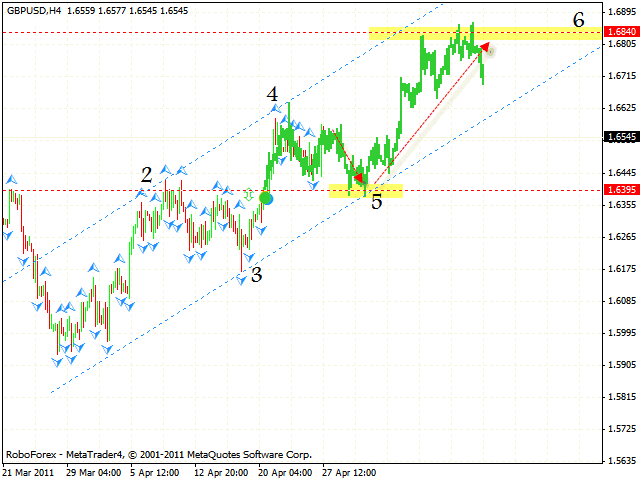 Another possible scenario is the formation of the rising pattern with the target in the area of 1.5075. In case it happens, we should expect the price to grow to the level of 1.4925, where the 4th point of reference is formed, and consider buying the pair from the channel’s lower border. 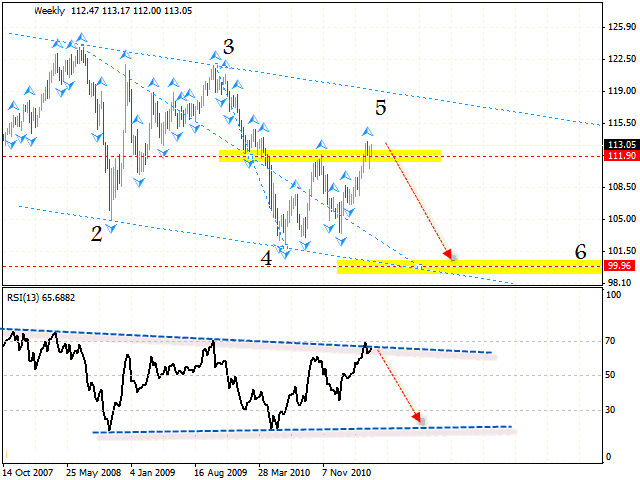 The weekly chart of the Euro Index is moving inside the descending channel. Currently the RSI indicator is testing the trend’s descending line, which is a resistance line here. We should expect the Index to hit it and start falling. The target of the fall is the area of 99. 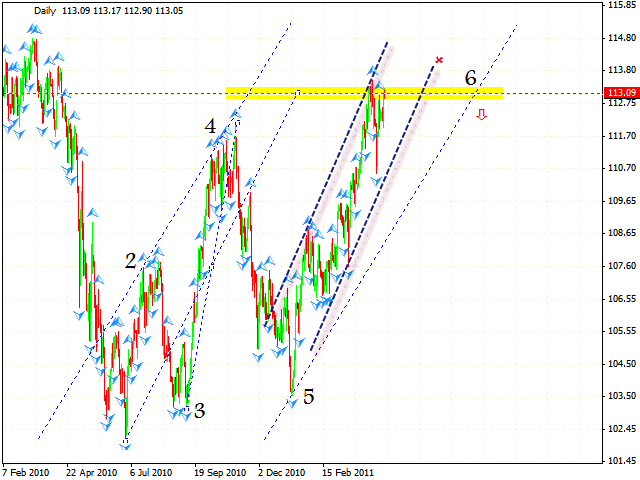 At the daily chart of Euro Index, the targets of the rising pattern have been reached. After the price leaves the rising channel, we should expect the descending trend to start. 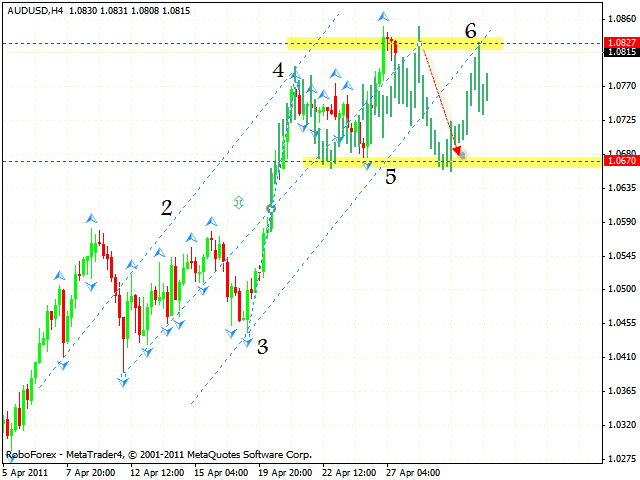 Thus, one can consider selling Euro if the area where we can try to sell Index appears. 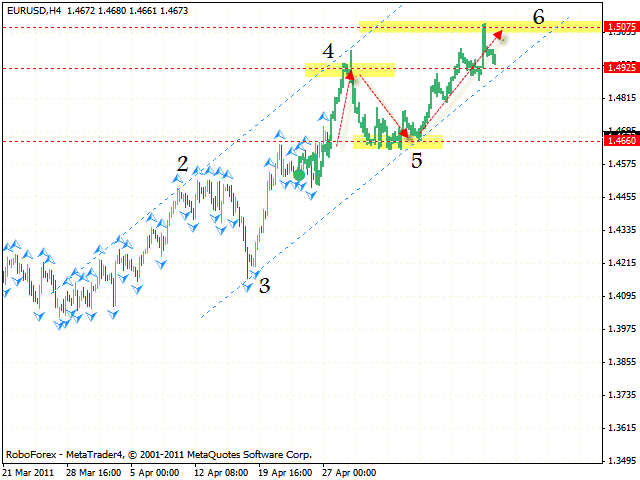 Pound is still inside the rising pattern with the target in the area of 1.6840. At the moment we should expect the price to fall to the area of 1.6395, where the 5th point of reference is formed. 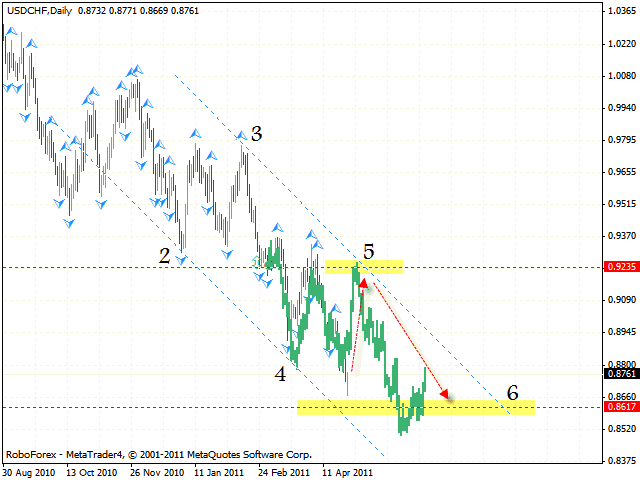 One can try to buy Pound with the tight stop from this area. If the price breaks the channel’s lower border, this case scenario will be cancelled. The daily movement structure of the USD/CHF currency pair indicates that the price started growing to the level of 0.92. One can consider selling Franc near the channel’s upper border. However, at the moment one can try to buy the pair with the tight stop. The target of the fall is the area of 0.8617. But if the price breaks the channel’s upper border, this case scenario will be cancelled. 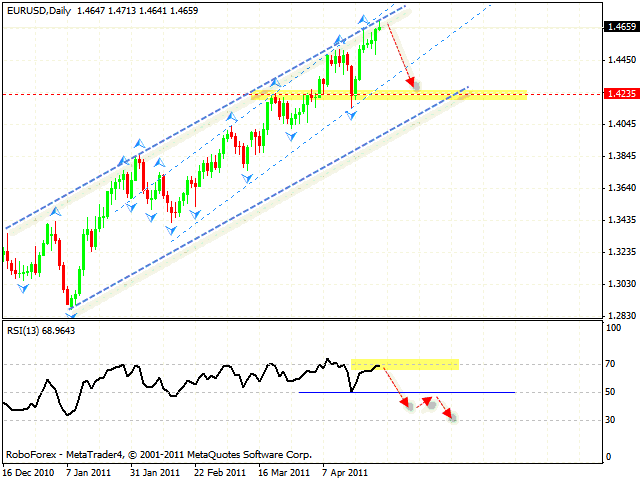 At the H4 chart the RSI indicator was supported by the trend’s rising line, we should expect the pair to grow. 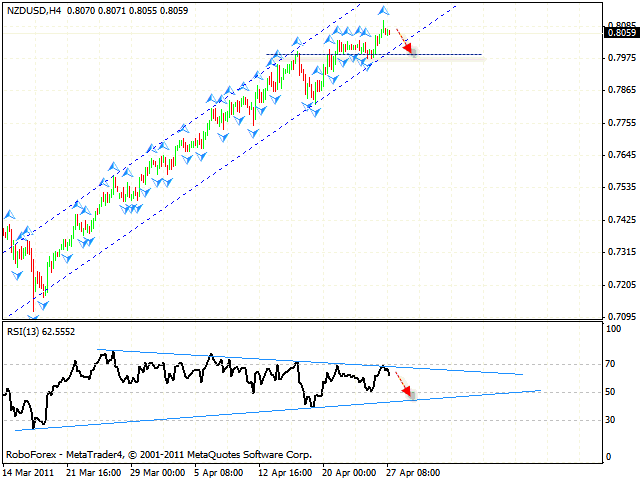 The closest target is the support level in the area of 0.8940. Australian Dollar has reached all the targets of the rising pattern. At the moment we should expect the price to be corrected to the level of 1.0670, which may be a starting point of the pair’s growth. New Zealand Dollar faced resistance from the trend’s descending line at the RSI indicator, we should expect the consolidation of Dollar here as well. The target of the fall is the area of 0.7980.